Excellent viewing from grandstand 5 over the chicane composed by turn 14 and 15. 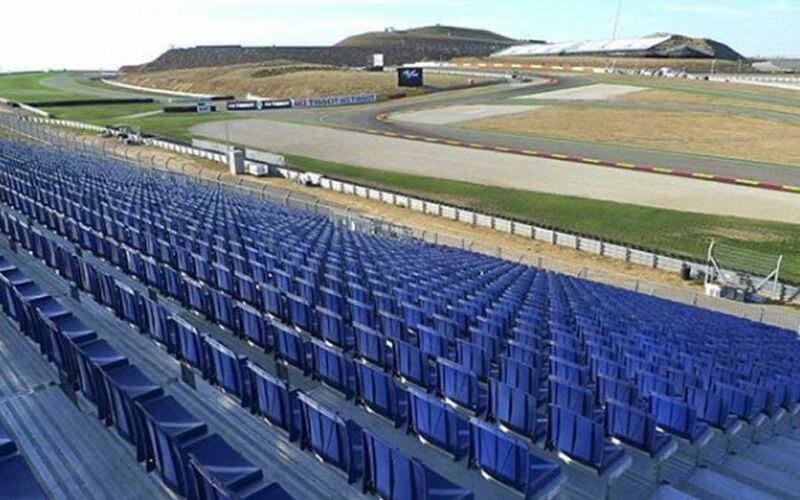 Braking area of turn 14 should provide good overtaking maneuvers and riders over-braking that spectators will enjoy. 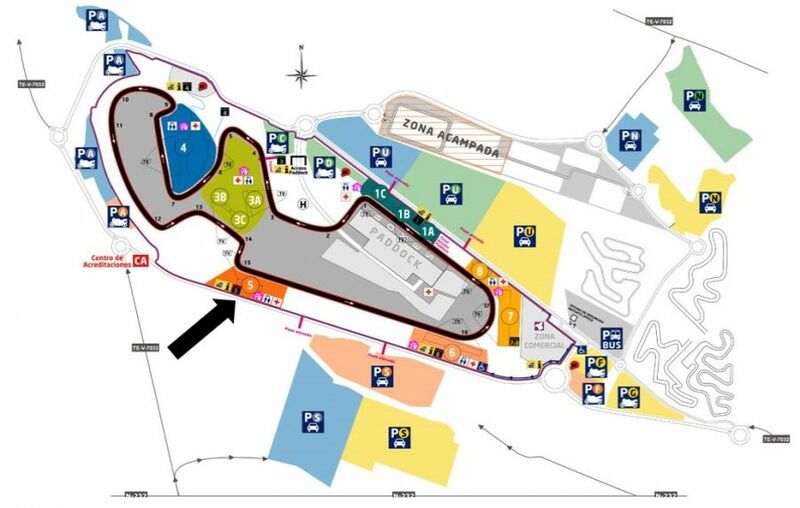 After this important breaking zone riders have to find the perfect line on the track in order to get the maximum of speed out of turn 15 and entering to the 1 Kilometer long straight of Motorsport-Racetrack Motorland Aragon. With giant screens and service area.